PEABODY — The financial state of the city’s golf course has some Peabody officials seeing red. During the City Council’s review of the budget last week, councilors learned that The Meadow golf course ran up a $111,000 deficit this past year. The course is funded through an enterprise account – separate from the city budget – that relies mainly on daily user fees and golf cart rentals. City Auditor Mary Martin said a cold fall and rain-soaked spring kept people off the greens — a point she repeated several times at last week’s meeting — leading to a $118,000 dip in projected revenue. She noted The Meadow sees 33,000 rounds of golf in an average year. This season is expected to wrap up at just over 28,000. With operational expenses just over $1 million, the projected profit of $371,000 isn’t enough to cover this year’s debt service payment of $482,500 on the property. The deficit will be covered by draining most of the retained earnings in the enterprise account, Martin said. Any big deficits in fiscal 2018 would have to be picked up by taxpayers. This was frustrating news to councilors, who last fall discussed options to generate extra revenue to avert this very situation. They had been trying to sit with officials and the course manager again in recent months to revisit the topic. The issue of how to make The Meadow more profitable has persisted for years — two oft-cited solutions from the council have been adding memberships and alcohol. The course is open to all at daily rates and there’s no 19th hole, as it were, in the clubhouse. That’s because of a promise to the neighborhood when the golf course was built in 2001. City officials say the daily fees are comparable, but slightly cheaper, than other local courses. It costs between $28 and $48 to play 18 holes at the course. Carts cost $19 a player for 18 holes. Sinewitz said it may be time to consider privatizing the course, as other communities have. He also strongly favors switching to memberships, arguing it will guarantee steady revenue. Fiscal 2016 saw total revenues eclipse $1.5 million, with a net profit of about $500,000. After that year’s debt payment, however, the balance was $7,780. If fiscal 2017 had been a good year, officials projected to see $11,500 after debt service. There was also a $21,000 deficit in fiscal 2015. The debt is from a 20-year bond the city issued to build the course. The last payment will come due in 2020. And that will make a big difference to the bottom line, city officials say. Council President Joel Saslaw shared Sinewitz’s concerns. Ward 2 Councilor Peter McGinn noted city Finance Director Mike Gingras had passed on information to the council in March; he agreed with his colleagues though that they should convene again soon to discuss options. “It’s tough enough to pass tax increases and use reserves to offset tax increases for things that affect everybody — roads, sidewalks, trees, parks, schools — but the one I think is harder for everybody to swallow is tax increases associated with golf courses,” remarked Councilor-at-Large Dave Gravel. He stressed the city should plan ahead to absorb losses if this season sours as well. In an interview this week, longtime course manager Peter Cronan stressed the impact of the weather on revenues. “The season ended early and started late. That is the main contributor to why we didn’t do so well,” Cronan said. He closed the course the week after Thanksgiving and didn’t open again until April 10. The previous year, the season lasted until just before Christmas, and the course was able to open again Feb. 29. Cronan said plans were underway to add a driving range, which would have been paid for with retained earnings, but that was put on hold as the season got off to a bleak start this spring — it was clear revenues wouldn’t be there to support the project. While councilors and the mayor, support looking closely at some form of memberships, Cronan has some mixed thoughts about going that route. He said it does ensure upfront money at the start of the season, but the drawback is that by the end of the year, members may be playing infrequently and only single rounds. 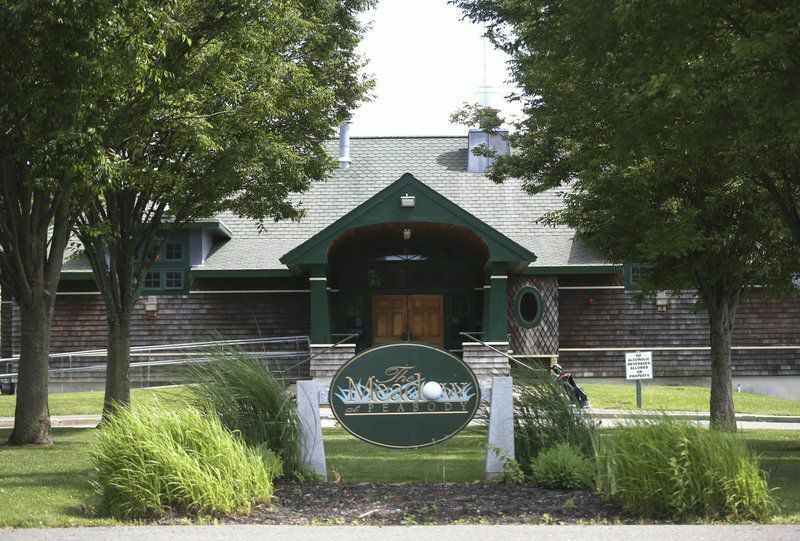 As for alcohol, Peabody does stand out for the restriction, both among nearby municipal and privately owned golf courses. There were promises the city made to the neighbors 20 years ago that Mayor Ted Bettencourt says should not be broken. “The city should live up to its word,” he said. He wouldn’t support a full bar at the clubhouse, but he could entertain one-day alcohol licenses for special events or functions. Staff writer John Castelluccio can be reached at 978-338-2677 or jcastelluccio@salemnews.com.